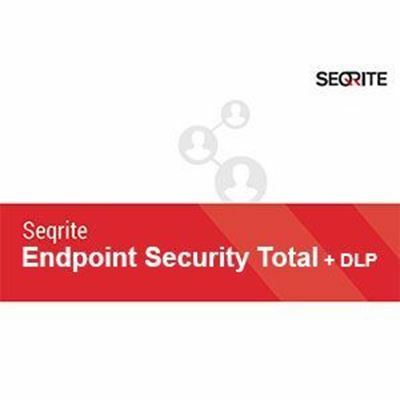 Endpoint Security Total is designed to facilitate world-class protection for every system within your enterprise with advanced features such as application control, file activity monitor and more. With this suite you can monitor and safeguard each endpoint while boosting its fine-tuned business impact. Categories of applications can be authorized or unauthorized from being executed within the network. Websites can be blocked individually or as per categories to limit web access for employees. Secures confidential data and prevents the leakage of business secrets to avoid losses. Vigilant monitoring of hardware and software configurations of every endpoint allows administrators to stay in-the-know of any alterations on company systems. Monitors confidential company files and notifies administrators when such files are copied, renamed or deleted. A cloud-based solution that allows enterprises to manage endpoints at all times, even when they are out of the local enterprise network. Admins can rest assured as they can view the latest status, apply policies and maintain compliance on the endpoints. Advanced protection that proactively detects and prevents malicious activity which may exploit application vulnerabilities. By scanning known vulnerabilities of applications and operating systems, this feature allows users to update necessary security patches. Administrators can customize permission-based rules in line with observable network traffic and configure exceptions. Clean junk files and delete invalid registry/disk entries within the network for enhanced performance of endpoints. Phishing attacks that originate from malicious codes over the Internet are thwarted before they can enter the network and spread. Endpoint clients can be safeguarded against attacks originating from malicious websites accessed from within the network. The updated graphical dashboard provides a centralized hub to monitor network health, security status and degree of compliance. Instant availability of product license information such as license history, renewal and additional feature pack details. Enterprises with large numbers of endpoints, or low bandwidth, can easily migrate clients to a new server. Endpoint clients can be easily deployed through flexible methods such as syncing with Active Directory, disk imaging, remote installation, login script setup, client packager or Notify Install. Notifications about critical network events can be preconfigured to reach appropriate parties via email or text messages. Centralized scanning of all networked computers allows network administrators to derive maximal benefits and customize and schedule scans as per company needs. All networked endpoints within the enterprise can be easily updated from a centralized location or at a specified time. Administrators can define user groups based on the hierarchy within the organization and set flexible policies as per situational requirements. Multiple update managers can be deployed to achieve load-balancing and to avoid network congestion caused by a single update manager. Reports and audits can be gained from a macro and micro view in a range of graphical and tabular formats. Scans your endpoint inboxes for spam, phishing attacks and unsolicited emails that sneak through network defenses. Configures device policies for various device types for Windows and Mac platforms to safeguard the network against unverified devices.